3D furniture visualization is a very effective way of getting enticing visuals for all kinds of ads. 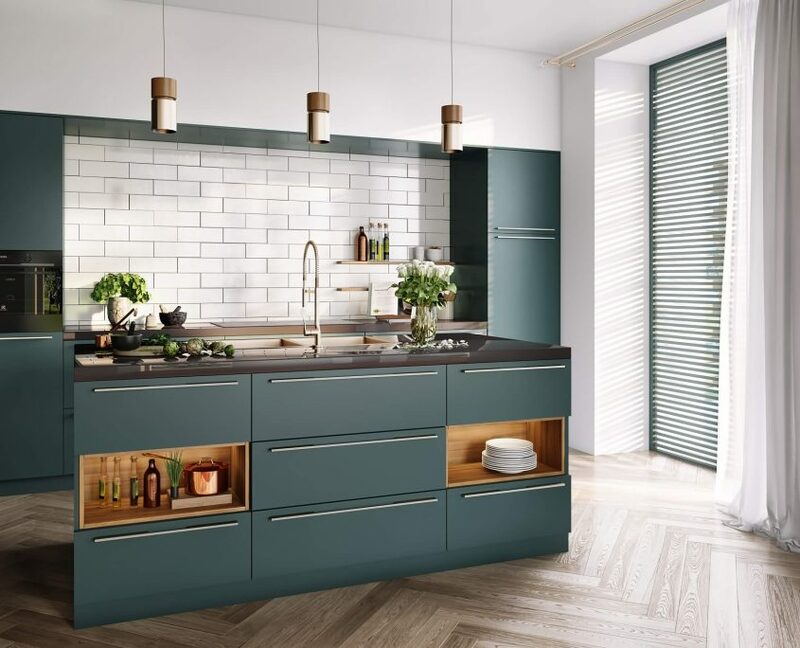 Photoreal 3D product rendering replicates every important detail: material quality, unique design and utility perfectly so that companies get a powerful tool to attract customers with.But how are these gorgeous visuals created? 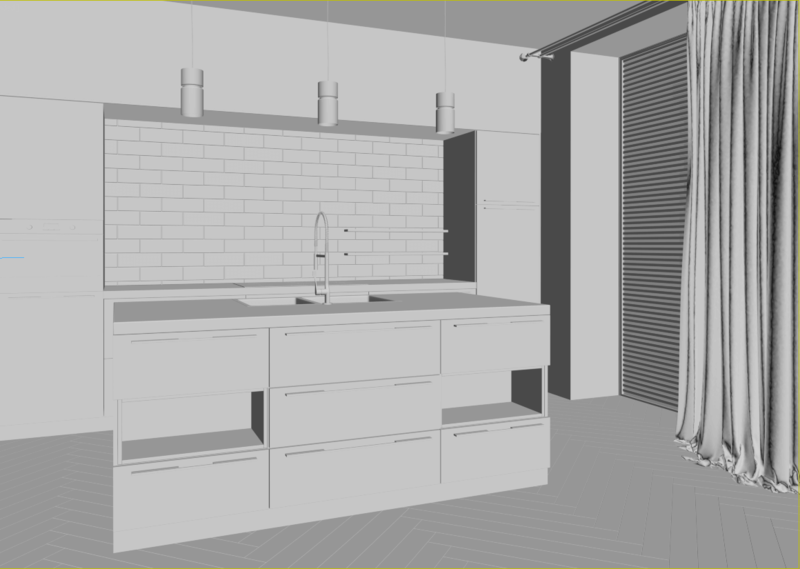 Today we explore 3D modeling and rendering process, using our recent kitchen counter and sink roomset project as an example. After the studio receives item references, 3D modeling team gets to work immediately. First, 3D artists create a 3D model, initially a chunk of blank polygons. Next step of 3D furniture visualization is adjusting camera angle to showcase the product from best POVs. In fact, 3-5 best shots are more than enough to demonstrate all selling points of any merchandise, including furniture. A good lifestyle image is half about the product and half about the scene. Realistic product rendering has to create organic context for merchandise while keeping the product in the center of the an image, which is a subtle art. 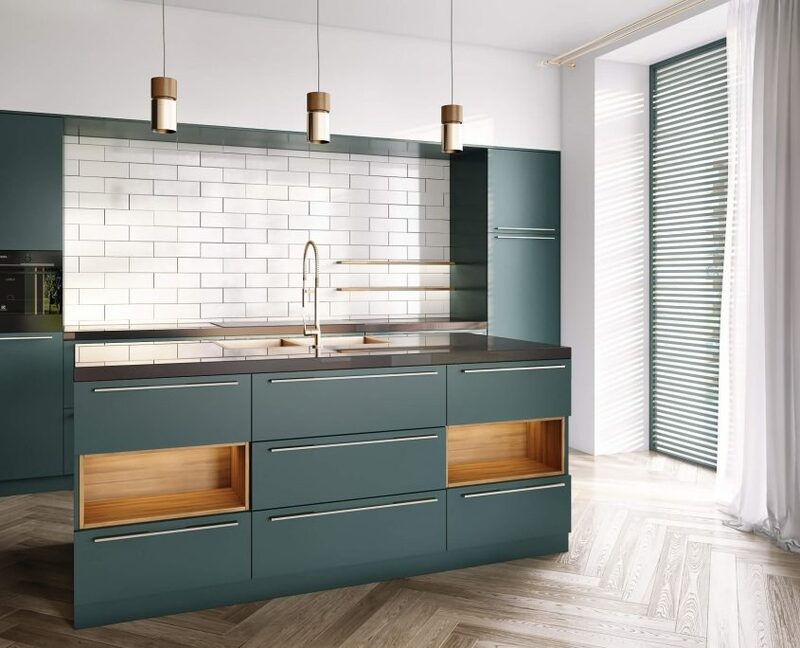 In this 3D furniture visualization the sink and counter are located in a kitchen and thus some appropriate elements are just begging to be added – a well-defined cooking section, lots of cupboards and drawers, a fridge and an oven. 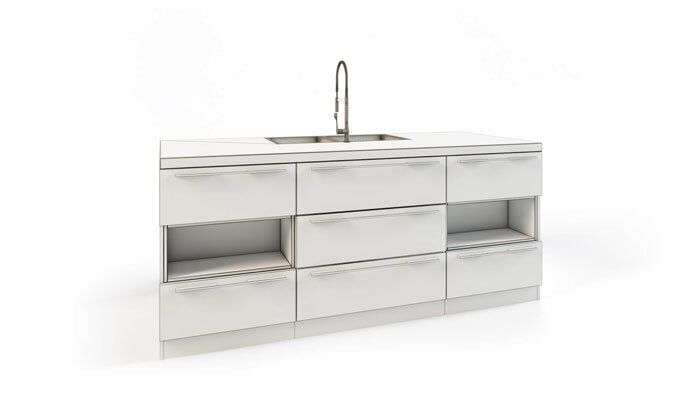 All that makes a potential customer immediately think how the sink can fit their kitchen. After creating the 3D model of the product and setting POVs, next important step of 3D furniture visualization is placing and adjusting light sources. Lighting is very often the key element of roomset composition which makes or breaks a picture, so it requires careful placement and editing. A lot depends on the type of furniture and what kind of room it is located in – should light be warm or cold, natural or artificial, direct or dispersed? Less prominent lamps are also tweaked to perfection – nothing sticks out like sore thumb in a professional 3DS Max furniture rendering. In the next step white “skeletons” are given “skin”. Texturing is also a crucial part of 3D furniture visualization process, since every texture has to look natural and accentuate the material quality of items. 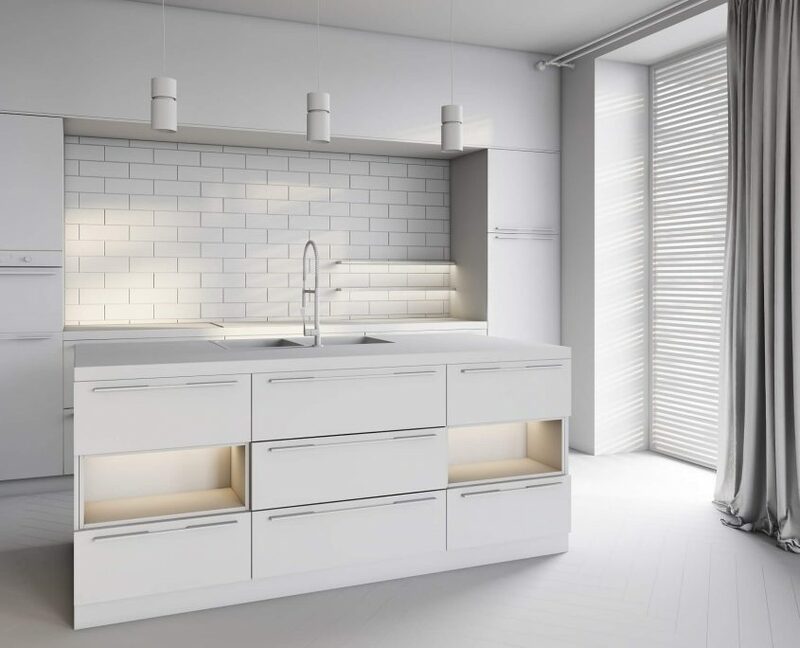 Surfaces like counter tops or lamp covers can be reflective, which also factor in the meticulous tweaking of the visualization. The majority of 3D furniture rendering process is done, so 3D artists add some decor elements to solidify the context for visual storytelling purposes and set the scene to render. Then, after the pictures are done they are sent to Photoshop specialists who run color correction and add a few special effects on top to create an eye-candy of a 3D visualization. This is how 3D furniture visualization is done – no magic, but pure skill and hours of hard work of 3D Artists. The result is always impeccable and gorgeous – images that are waiting for you to use as customer magnets. Do you want to learn for how much you can get your visual masterpieces for an impactful marketing campaign? Check out our product rendering cost options and contact us via CGIFURNITURE website.